Mini-ITX boards with 8 to 12 SATA connectors aren't that exotic. But what about matching cases? 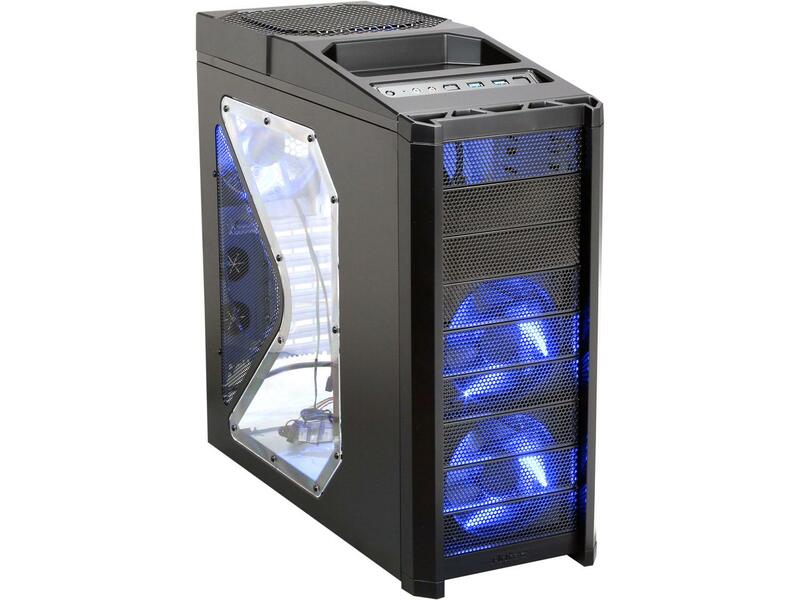 Basically, I am looking for something similar to the SuperChassis 721TQ-250B - but with more hot-swap drive bays. Like 10 of them. TL;DR: Get an R510 instead of a case. If you already own a motherboard or need to buy new, get an RPC-4116 (if you need to buy new or prefer a cleaner solution) or a DAS and an LSI 9200-8e. 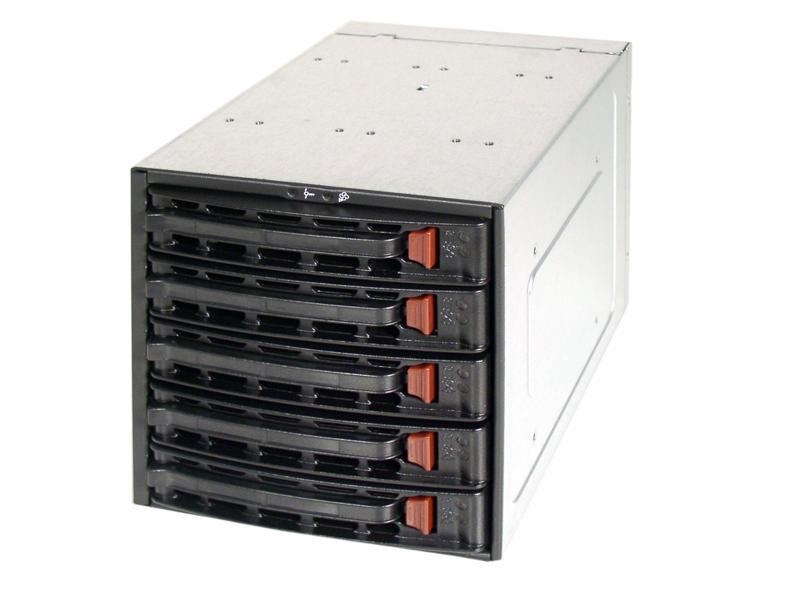 Finding an enclosure with 10+ hot-swap bays is incredibly easy–just take a look at Newegg's server chassis page. Right away though, you'll notice the first issue: price. 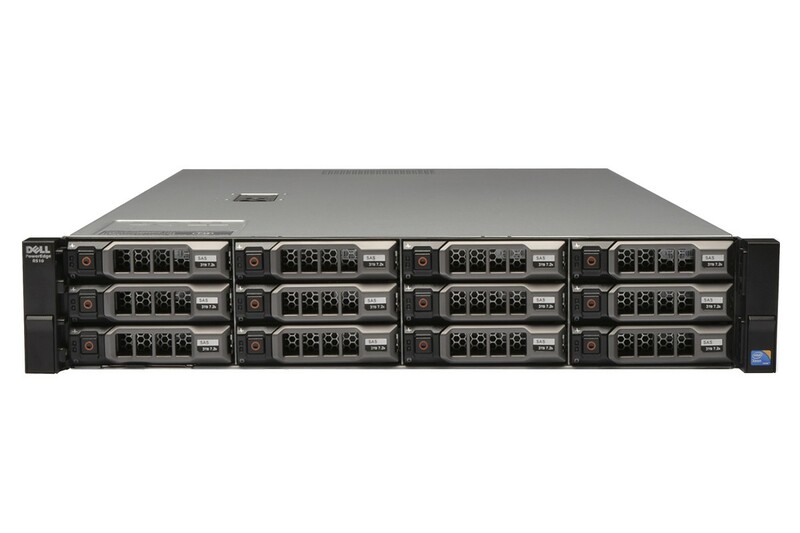 As a general rule of thumb, server chassis are far more expensive than their "consumer counterparts", even accounting for the fact that many include PSUs. There's a second, less obvious issue: how are the drives connected to the motherboard? Almost all of these cases use a SAS backplane, not a bunch a of individual SATA connections–something a standard motherboard won't be able to connect without a special controller. Norco has a solid reputation, so the RPC-4116 seems to make sense. I'm less familiar with HBA cards, but the IBM M1015/LSI 9211-8i is popular and cheap. Sadly I couldn't find one, I'll edit this if I find one. 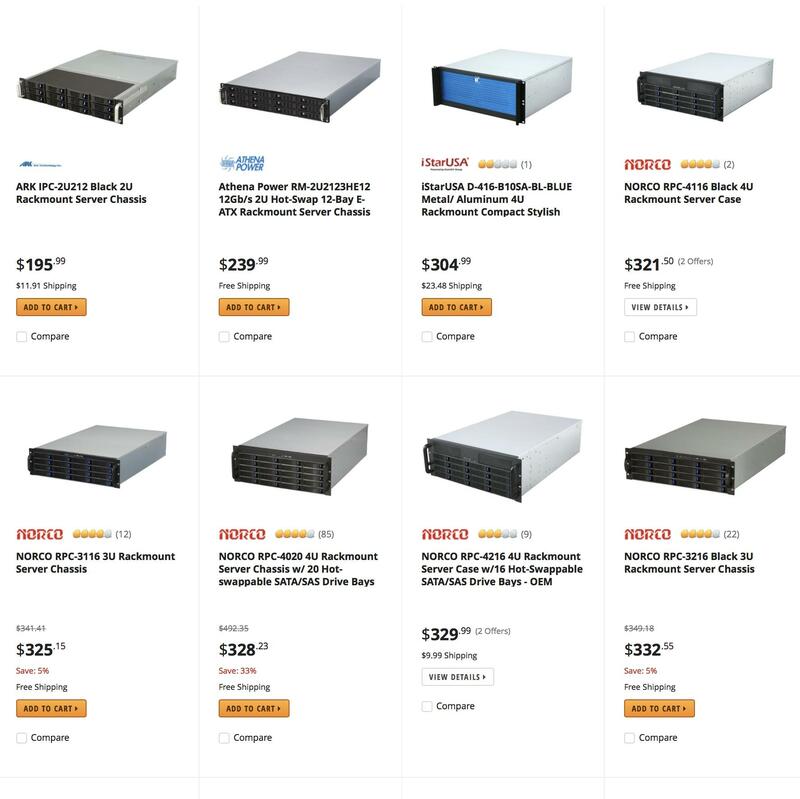 Given the high cost of buying a chassis and bringing your own hardware, unless you seriously value flexibility or have your own hardware already, buying a complete server could be seriously worth it. 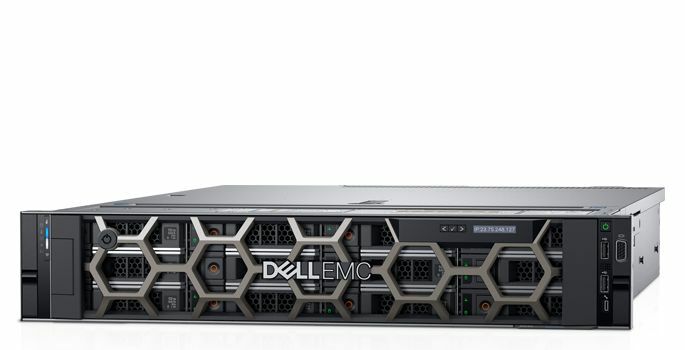 The Dell PowerEdge R540 supports up to 12 x 3.5" hotswap bays barebones at $1,848.99. 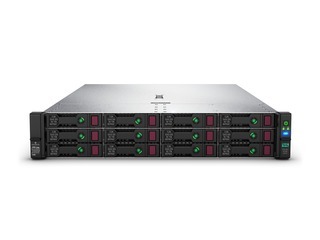 As does the ProLiant DL380 G10 barebones at $2,259.99. However, both of these are rather expensive options given that used server hardware is available much, much cheaper while allowing for cheaper memory and CPUs. 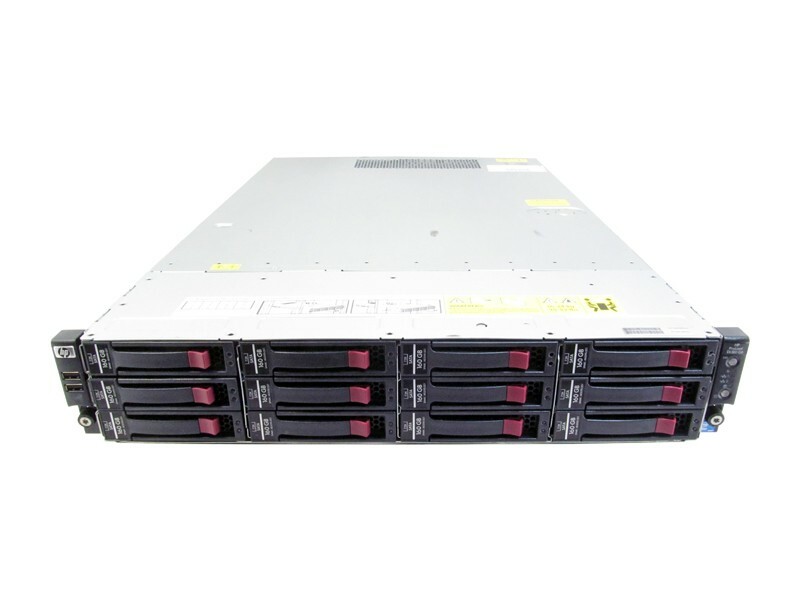 The R510 can support the same with barebones starting around $50. If you do decide to go the used route, I'd recommend using LabGopher to search for a good deal. Another option would be to buy a DAS and an external HBA like the LSI 9200-8e and connect it to any old computer with a free PCI-e slot–server, tower, whatever you can find for the cheapest or have on hand. Title is pretty self explanatory here. The value is that you won't need an HBA card; the devil is finding a case with that many 5.25" bays in this day and age and in cost effective adapters. 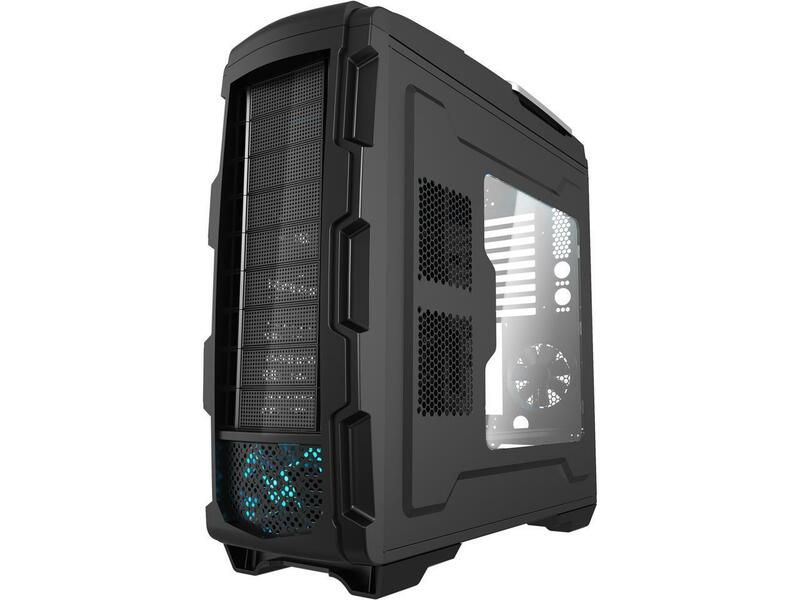 The Antec 900, AZZA GT1, Azza Genesis 9000 and Cooler Master Storm Trooper all have 9 5.25" bays for around $100 with varying looks. 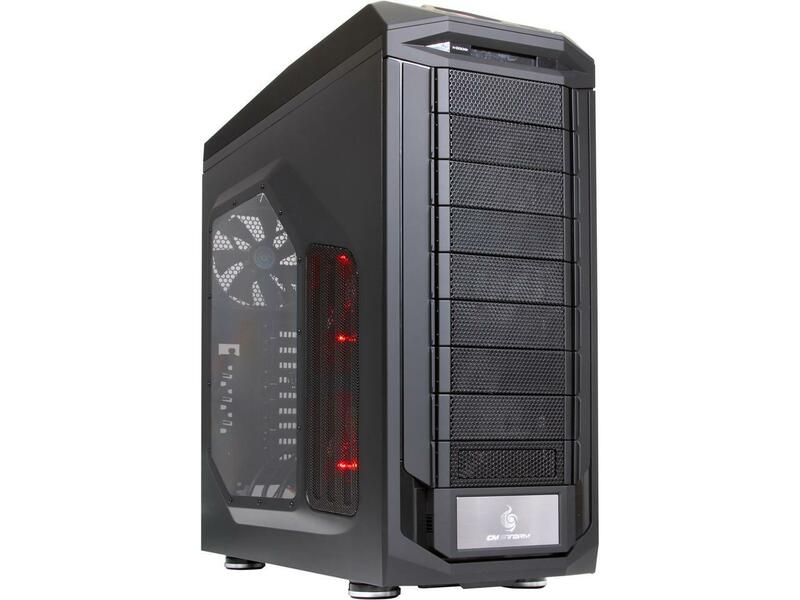 Older cases like the Lian Li PC-A17 and such also have a high number, but availability on anything with lots 5.25" bays is mediocre. There's a chance you can find something on Craigslist or the like, but no guarantees. The adapters aren't cheap either; this StarTech one is $24.06. 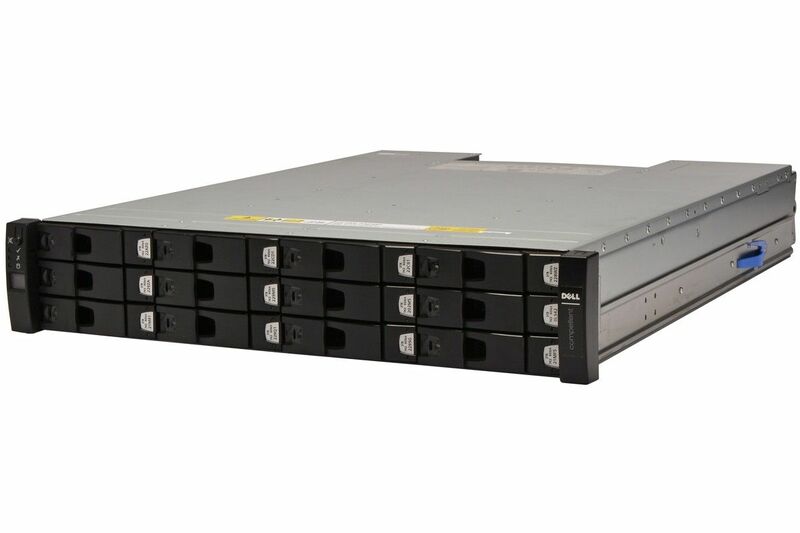 OP has also pointed out that SuperMicro makes the CSE-M35T-1B a 3 x 5.25" to 10 x 3.5" bay for $100. This gives some more flex in case choices, starting from about $50 and working up. Just pick one you like. These are still expensive solutions though, and if you're not getting something equally hot swappable or just jury-rigging something yourself, you might as well just get a normal case and stick the drives in normal 3.5" mounts. 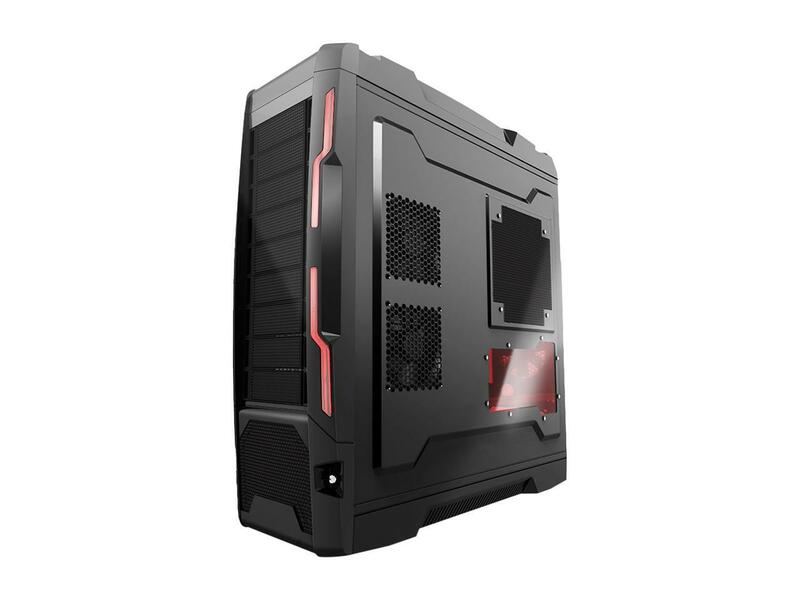 The SilverStone DS380B has 8 hot-swappable bays plus 4 fixed ones. Fair enough? Not the answer you're looking for? Browse other questions tagged server case sata or ask your own question. 15-25 port SATA to USB C or PCIe adapter?